This morning, I got a text message from my mom sent to all three of us that my final living grandparent had passed away. me and my halmoni. the first and only time she came to the United States. My halmoni in died this morning in Korea at the ripe old age of 97 years old. The thing about growing up in an immigrant family is that unless your family has the means to do it, it is really difficult to go back to the motherland to visit. My father’s family immigrated to the United States all together, so that half of the family was all together. I grew up knowing the Pak side of the family and my grandparents and cousins on that side (growing up together as an Asian family in Utah will bond you in a special way naturally as well). 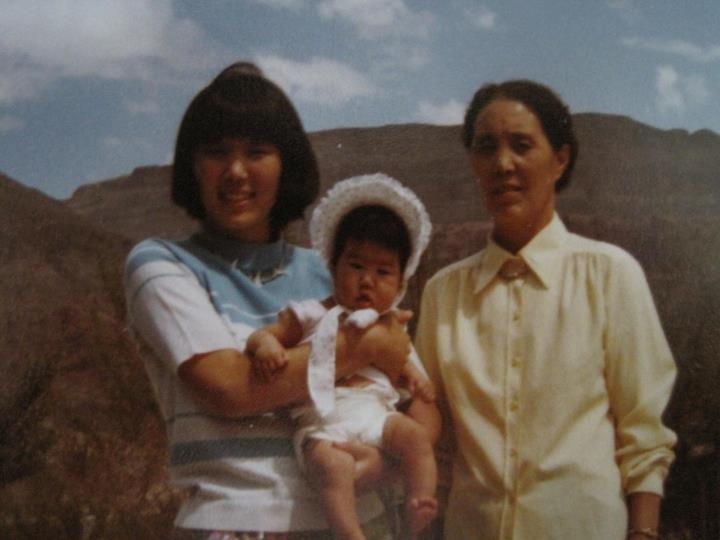 But my mother’s side of the family, the one she left behind in Korea to marry my dad and move to this country, I have only met a handful of times in my entire life-and my maternal halmoni (grandmother) I only met 3 times in my life. Once as an infant (as pictured here). She came to the United States to help my mom with her first baby (me!) It was the last time she would be healthy enough to travel abroad. The second time I was 12 years old. The last time I was about 25 years old… so I have not seen her in a very long time. I really don’t know her. 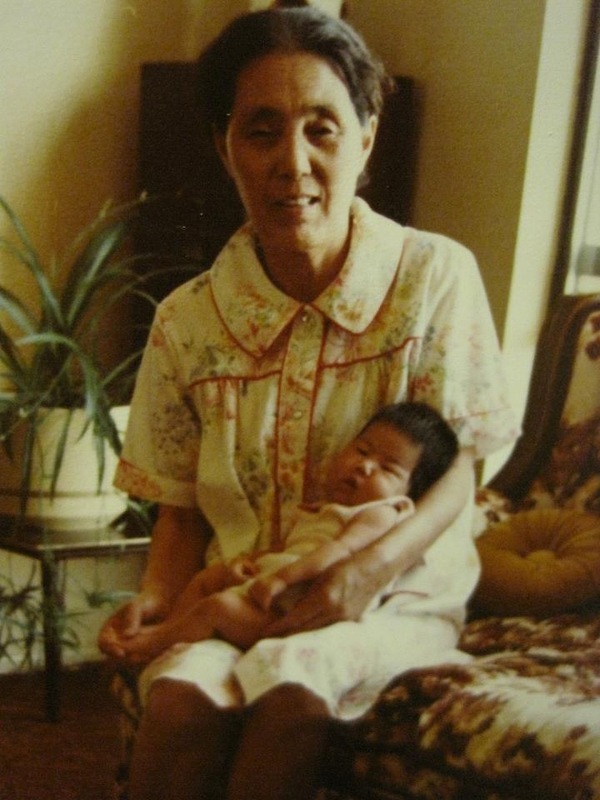 And if there is any grief on my part, I think that’s where the grief lies… that I had a grandmother who lived 97 long years, witnessed that many years of history, is a part of my mom’s story, and I did not know her. But I am thankful that I did meet her. She was always so happy and so sad to see us. She had always thought it would be the last time we would meet every time I remember us meeting… so when I was 12, I remember her weeping as she said goodbye thinking that she would never see me again, and the same when I was 25 years old. I always felt like it was so dramatic, but I think she was also just so sad that she did not get to know us well because we were so far away. My mom is not going back for the funeral. She had made that decision the last time she saw her and went back to Korea (which was only a little more than a year ago now). But plans and arrangements are being made and there will be a celebration of her life tomorrow. I would love your prayers for my mom and her family in Korea as they make the preparations. For my cousins and aunts and uncles who were much closer to her and are grieving her loss. In life and in death, we belong to God. Thanks be to God.